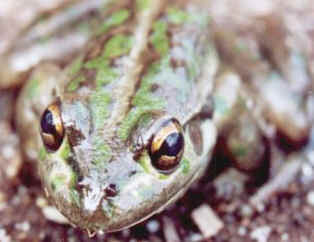 Lovely green frog with big eyes. It likes to hide in my shoe each night. Every morning I knock my shoes out to make sure I don't step on top of my little green friend.